All tickets include a reserved seat, with a plated meal and open bar. 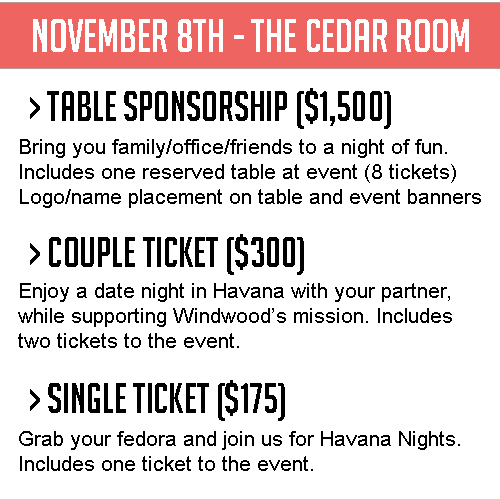 Windwood is a registered 501(c)(3) organization, so a portion of this donation is tax-deductible. Please consult your tax advisor.